In many ways, Kittu embodied the LTTE itself. His loyalty to the cause was fierce, but anyone who crossed his path was dealt with a swift, fatal blow. By November 1989, Sathasivam Krishnakumar aka Kittu, was among the top-rung leaders in the Liberation Tigers of Tamil Eelam (LTTE). He ruled by fear, and was ruthless in punishment – not just for the Sinhalas and the Tamils who disagreed with the LTTE, but also those who chose to rub him the wrong way in his personal life. That month, a student at Jaffna University, Arungirinathan Vijithran, dared tease Kittu’s girlfriend who was a medical student at the varsity. Vijithran was abducted from Batticaloa by Kittu’s men. A huge protest erupted at the University. Kittu assured students that they would trace the boy, and elders prevailed upon the students to get back to classes. But one student rose in defiance, and protested loudly. Vijithran was soon found dead. Two years later, that defiant student was also killed. 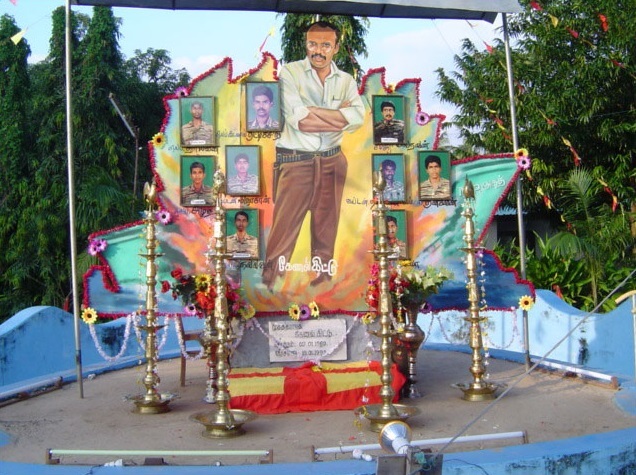 In many ways, Kittu embodied the LTTE itself. His loyalty to the cause was fierce, but anyone who crossed his path was dealt a swift, fatal blow. LTTE might be dead and gone, and while even mentioning its name could get you into trouble in Sri Lanka, the Lankan Tamil diaspora and people of Tamil Nadu keep its memories alive. And Tamil cinema has been an effective tool. After 1992, following the death of former Indian PM Rajiv Gandhi, any film which sang hosannas to the Tigers was stalled by the Indian government. Noted director Selvamani’s film Kutra Pathirikai (Chargesheet) on the Sriperumubur tragedy still remains canned, even though it was not pro-LTTE. Katrukkenna Veli (Who can prevent the wind from blowing), a relatively decent film portraying the Tigers in a positive light, got mired in censorship issues for long before it hit the screens. Its director Pugazhendi Thangaraj’s subsequent attempts to strike variations never went beyond the floors. Maniratnam’s Kannathil Muthamittal does touch upon the conflict, but doesn’t take sides, and so it passed muster. Very recently Ravana Desam, with the ethnic strife as backdrop, managed to get past censors, but it didn’t seek to make any strong political statement. Such being the story so far, director Suseenthiran is now working on a movie titled Maaveeran Kittu, which is seemingly based on Kittu's life, even though the director has said that it has nothing to do with the slain leader or LTTE, but is based on a "true story". What will happen to the movie? One has to wait and see. Kittu also hailed from Valvettithurai, the hometown of LTTE supremo V Prabhakaran. Kittu was a member of Prabhakaran’s extended family, as was LTTE leader Mahattaya, who came to grief after rising to dizzying heights. Kittu was senior to Mahattaya and reportedly took part in the Anuradhapura ambush of 1983 that led to the island-wide massacre of Tamils, setting the stage for the armed rebellion to follow. In April 1986, when Prabhakaran decided to decimate Tamil Eelam Liberation Organization (TELO), Kittu, as LTTE’s Jaffna commander, led the horrendous operations. People of Jaffna saw violence like never before. Many Tamils who were killed were ‘necklaced’ - tyres soaked in petrol were placed around the victim's neck and set alight. Srisabaratnam, the TELO chief, was hunted down personally by Kittu. He shot him in the leg to prevent him escaping. Sabaratnam pleaded with Kittu for his life but Kittu shot him using a machine gun, and the bullet ridden body was displayed in public before being handed over to his family. Barely 26-year-old by then, Kittu had turned into a forbidding figure, lording over the Jaffna peninsula. With Prabhakaran away in Madras, he could even issue statements on behalf of the organization. 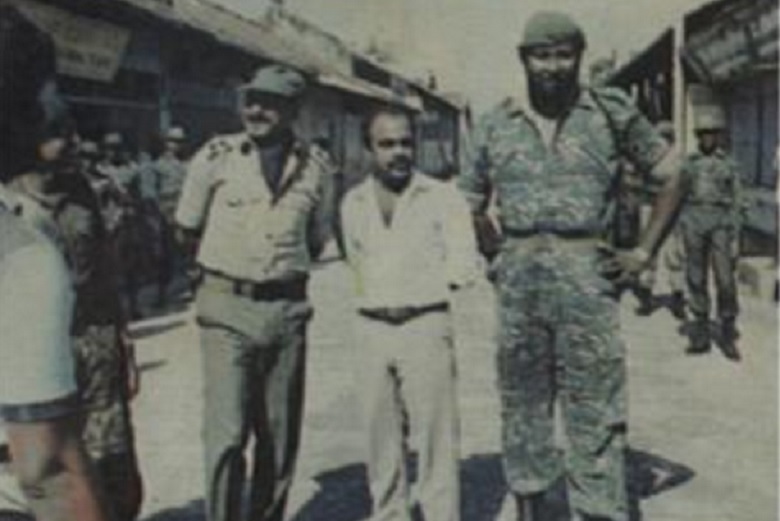 In January 1987, the LTTE supremo returned to Jaffna. Some would claim that Prabhakaran felt threatened by Kittu’s increasing popularity. 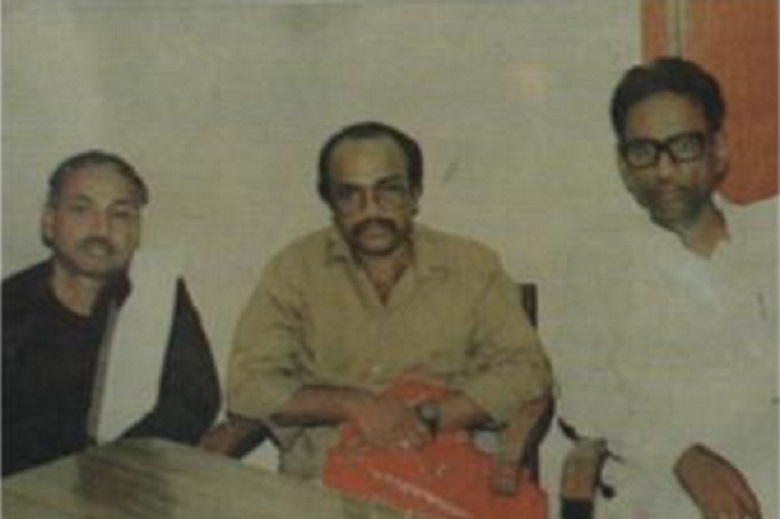 Prabhakaran had already transferred Mahattayya from Mannar to Jaffna, possibly as a check to the other relative. Still not satisfied, he chose to return. 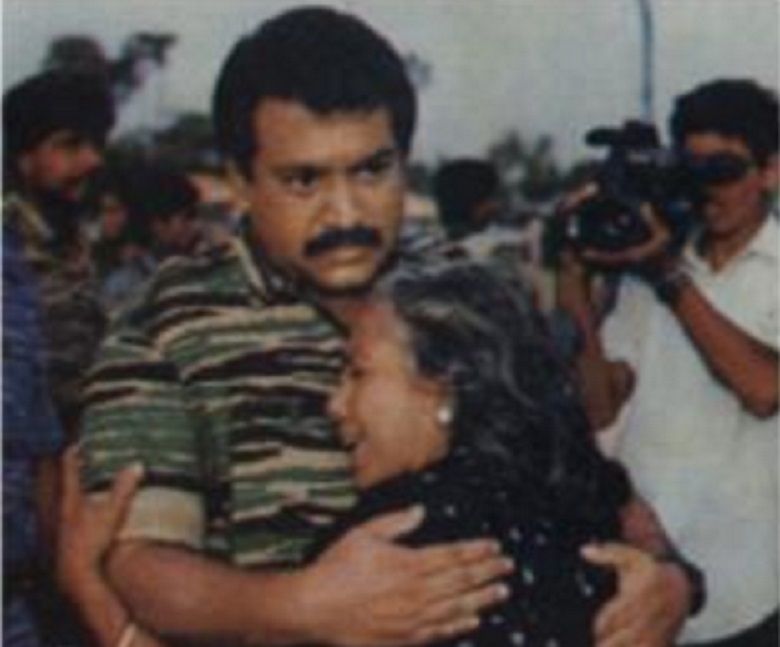 Even so, the LTTE leadership maintained that Prabhakaran returned to Jaffna only because the Tamil Nadu government had made it difficult for Prabhakaran to stay there. A couple of months later, in March 1986, Kittu’s life took a tragic turn. As he was getting into his jeep after visiting his girlfriend Cynthia, a grenade was lobbed into the vehicle. Kittu escaped with his life, but his right leg was seriously injured and it had to be amputated. His career as a commander had come to an end. There are many theories as to who was behind the attack, and the attackers were never caught. 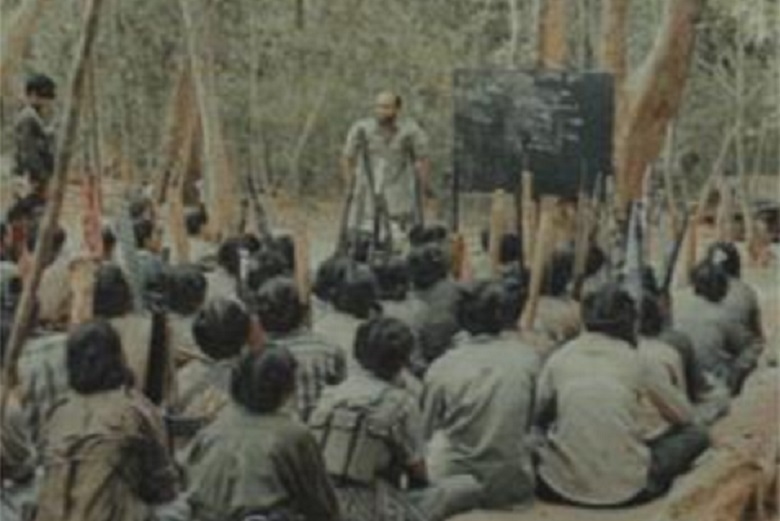 The LTTE however took it out on those who had been taken prisoners from other groups like the EPRLF and TELO. On hearing about the attack on Kittu, Aruna, a local commander, rushed to the LTTE’s detention house - ironically named Kandan Karunai (Mercy of Lord Muruga), grabbed an AK-47 assault rifle and fired into the room full of prisoners, instantly killing all but two of those in the room. The death toll was 63. The Kandan Karunai massacre, as it is called, is still mourned by the victims’ families. Some say that it was Prabhakaran who had engineered the attack on Kittu as he didn’t approve of any love affairs within his ranks, and wanted to make Kittu an example of his moral code, not to be violated by anyone. What was also going against Kittu was that he had become chummy with Captain Jayantha Kotelawala of the Sri Lankan army at the Jaffna fort, thus arousing suspicions within the LTTE. “…their relationship blossomed so much that Kittu arranged to send firewood and mangoes to the soldiers in the fort, whenever they made the request,” says K T Rajasingham in his book Sri Lanka: The Untold Story. Many other think it was Mahatayya who did it. The people of Jaffna did sympathize with Kittu, whatever his arrogance and cruelty to those who fell afoul of him. Niromi de Soyza writes in her book Tamil Tigress, My Story as a Child Soldier in Sri Lanka’s Bloody Civil War, that her schoolmates mourned Kittu’s fate, almost skipping their examinations. After that he was sent across to Tamil Nadu for treatment. 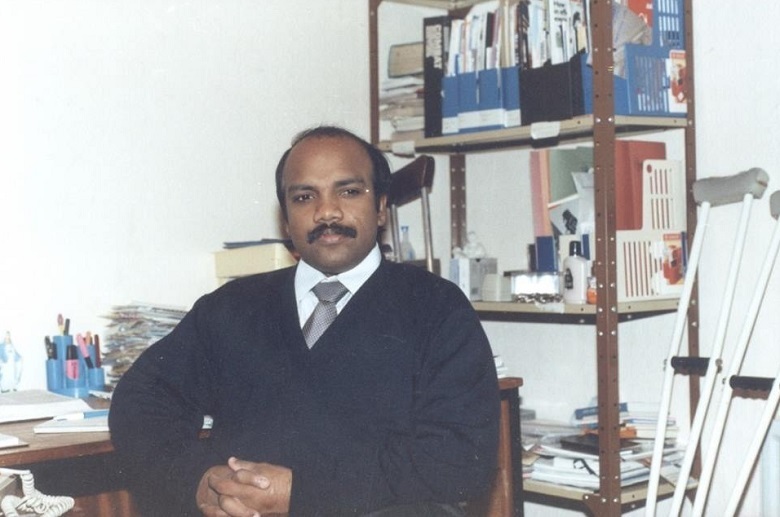 The IPKF-LTTE confrontation began, and he was arrested in August 1988. There was still a lot of goodwill left for the Tigers in the state. In October, when Kittu and the other arrested LTTE men threatened to fast unto death, the government released them. In London alongside the treatment, he also took over the international secretariat of his organization and went about extorting money from the diaspora. Indeed, there are no records of his medical treatment while he was there, apparently he was busy raising funds. According to some accounts, there were as many 2,000 petitions against him to the UK government, after which the government decided to deport him. Sensing what was in store for him, he quietly moved out. Funnily though, according to CBI's chief investigator in the assassination case, K Ragothaman, the then RAW chief Gauri Shankar Bajpai told PM Chandrashekhar that ‘Colonel Kittu’ was India's mole in the militant outfit. However, Ragothaman goes on to assert, in his book Conspiracy to kill Rajiv Gandhi, "Kittu could never be a mole as he was the right-hand man of Prabhakaran. I only admire how Kittu was clever enough to keep the RAW chief as his mole," implying that Indian intelligence may have been deceived in the bargain. After leaving the UK, he kept running around Europe for a while and eventually boarded the ill-fated MV Ahat in January 1993 in Thailand, a ship which was carrying a huge load of arms and ammunition, courtesy ISI of Pakistan. The Indian navy, alerted to the movement of Ahat, intercepted it. In the ensuing confrontation, the ship was blown up along with Kittu and at least eight other LTTE members. There was a romantic interlude nevertheless. Kittu insisted on bringing over his longtime fiancée Cynthia to Colombo, marrying her and then arranging for her to join him in London. What happened to Cynthia remains unclear.